I don’t listen to music while I’m writing – I need total silence to concentrate – and I rarely play music in the house. It’s only when I’m driving that I stick on a CD (yes, I’m that old fashioned), and even then I often prefer silence. So why am I writing this blog? Because, when I was invited to, I realised how much music had contributed to the making of Buffalo Soldier. Some books have a very long evolution. Strands of music, images and ideas that have been knocking around in your head for years eventually come together and form something new. Buffalo Soldier started with the Westerns that were constantly on TV and in the cinema when I was a child. I grew up wanting to be a cowboy. There were two particularly memorable movie themes that made me long for a horse, a hat, and the wide open range – Elmer Bernstein’s The Magnificent Seven, and Ennio Morricone’s The Good the Bad and the Ugly. Then there was Gone With the Wind. I was taken to see it for the first time when I was about 11 or 12 and was captivated by its epic scale and sweep. It was the first time I’d seen a heroine take charge of her own fate. I still find Tara’s theme by Max Steiner stirring, particularly when Scarlett vows never to be hungry again. When I was growing up, the Wild West and the Deep South seemed worlds apart. I had no idea how closely connected they were until I was doing background reading for my book Apache and came across references to black soldiers. It was after the Civil War and the Emancipation Proclamation – who were these guys and what were they doing in the west? Further research led me to the buffalo soldiers. The Bob Marley song suddenly made sense. That lyric took on fresh importance. Many of the men of the 9th and 10th US Cavalry were freed slaves in a world that had been turned on its head. They signed up and were sent to fight the Indian Wars. Freed men, fighting Native Americans? I was struck by the bitter irony of the situation and started reading everything I could get my hands on about slavery and the aftermath of the Civil War. In the car I started listening Nina Simone and Etta James, Paul Robeson and Louis Armstrong. Gospel music. Spirituals. And then I went back to Gone With the Wind. Gone With the Wind is a hugely problematic film, depicting a wildly romantic Old South where slavery is a benign institution, where field hands contentedly pick cotton and sing from pure happiness. When I re-read the novel, the scene in which Big Sam starts singing Go Down Moses as he’s sent off to help fortify Atlanta against the advancing Yankee army snagged in my head. He’s clearly meant to be a faintly comic character and Scarlett fondly watches him go. Now, Margaret Mitchell was a gifted writer and she knew her Civil War history inside out yet she appears to have no idea about the significance of that particular song. A spiritual about the enslavement of God’s Chosen People. Didn’t she ever listen to the lyrics? Go Down Moses is linked to Nat Turner – organiser of one of the bloodiest slave revolts in US history. It was used as a rallying cry by Denmark Vesey when slaves rebelled in Charleston. Harriet Tubman used it as a code song when helping fellow slaves escape along the Underground Railroad. How could Margaret Mitchell not know this? Go Down Moses gave me an insight into a very blinkered view of history in which whites chose not to see what was happening under their noses. It also gave me a burning desire to tell the story of the Civil War from the other side. Swing Low Sweet Chariot (sung here by Paul Robeson) was another song I listened to repeatedly and in fact it features in the book – the longing for a better place, to be taken from a world of misery and suffering and carried ‘home’ speaks volumes. It stirred my emotions and helped create mood and atmosphere. Way back in school when I was in the sixth form I was in a play, which featured I Shall Be Released (sung here by Nina Simone) and Change Gonna Come (Sam Cooke’s version here). The yearning, the terrible weariness you can feel in both songs, informed various characters’ emotional development and fed my writing. There’s one particular scene in Buffalo Soldier in which Billie Holiday’s Strange Fruit was in my mind. So quiet, so passionate, so powerful – I can’t listen to it without feeling a chilling sense of horror. It makes me weep. And finally – there’s one piece of music that runs all the way through Buffalo Soldier – Sam Hall. I was looking for something with a traditional feel and upbeat but also with a dark, violent undercurrent and a real sense of menace. Appropriately enough I heard the song first watching the 2011 Western Blackthorn with my children and tracked down the Johnny Cash version because the lyrics suited my purpose perfectly. 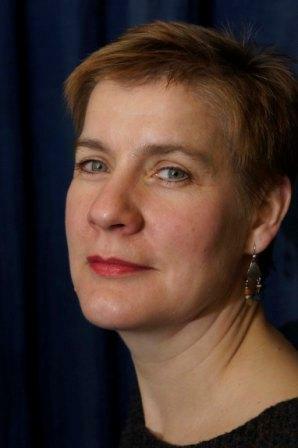 Tanya Landman is the award winning author of more than 30 books for children and young adults. 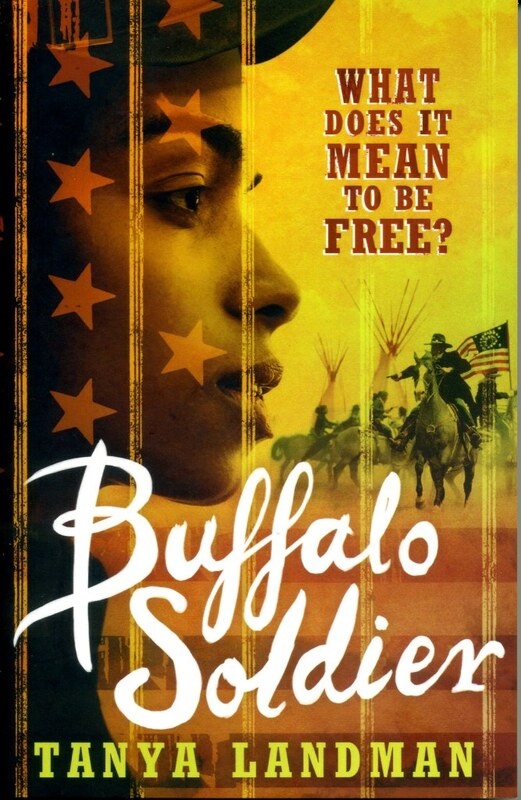 Buffalo Soldier has been shortlisted for this year’s Carnegie Medal. 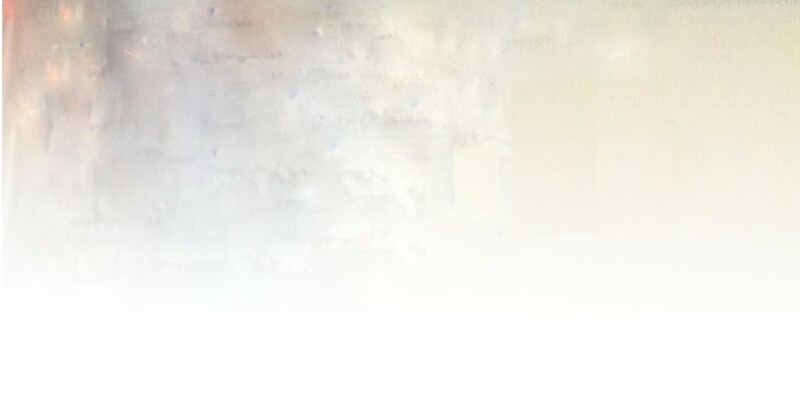 Her website is here and you can find her on Facebook.